At What Temperature Do Mosquitoes Die? ​​What Temperature Do Mosquitoes Die? There are many myths and differing opinions surrounding the question of what temperature kills mosquitoes. Many people believe that these flying pests can’t handle the heat. Others will tell you that mosquitoes won’t survive in the cold. Who is correct? At what temperature do mosquitoes die? In this article, we’ll take a deeper look at exactly how mosquitoes are affected by temperature changes. We’ll also find out if extreme temperatures are likely to kill these pests. Will a Cold Winter Kill Mosquitoes? Mosquitoes are cold-blooded creatures. This means that they cannot regulate their own internal temperatures. Therefore, whatever the temperature is outside, this is the temperature a mosquito will be. Because of this, mosquitoes typically thrive in hot weather. You can find these flying insects virtually everywhere, but in countries and regions with a warm, humid climate, mosquitoes fare particularly well. The cold weather may kill certain types of mosquitoes, but others have fully adapted to live in cooler climes. Mosquitoes are even found in arctic locations, such as Alaska. These species of mosquito can withstand both ice and snow. The eggs can also survive the freezing cold and will hatch as soon as spring comes. Other species are not as well-suited to extreme temperatures. Most mosquitoes that are found in warmer places can’t live in very cold temperatures, and they will die if the temperature drops much below 50 degrees Fahrenheit. Did you know that mosquitoes are able to go into a kind of hibernation? Some mosquitoes become dormant and go into diapause when it gets too cold for them. To do this, the mosquito’s body stops developing and all internal processes are paused while the mosquito goes into a deep sleep. Only female mosquitoes are capable of this process. Mosquitoes do not have a very long lifespan, but the female can live significantly longer than the male. She is able to go into diapause for long enough that she may sleep through the winter. She emerges again once the temperature begins to rise. Generally, mosquitoes handle heat very well. Even high temperatures don't seem to bother these flying insects much. But extreme heat will cause mosquitoes to die if there is not enough fluid around. Mosquitoes need water to stop themselves from becoming dehydrated, and they need a food source. They mostly eat plant life, while the female, of course, will drink blood from mammals, including humans. This is why, when you’re on holiday in a hot and dry region, mosquitoes love to share the sunset views with you; it’s cool enough for them to come out and become active again. This is also why mosquitoes love the tropics. Warm weather and plenty of moisture in the air means that they are unlikely to suffer from dehydration. In hot places with very little to offer in terms of plant life and sources of blood, mosquitoes are generally scarce. Warm weather makes mosquitoes thirstier than normal. So if you have any standing water sources around your house during summer, you might find yourself with an unwanted infestation. Because of rising worldwide temperatures, warm-weather mosquitoes are now being found in colder areas. They are migrating, or rather relocating, en masse, because the environments that were once too cool for them are becoming increasingly habitable. And the warmer environments are becoming too warm. In fact, the Asian tiger mosquito was found in Wisconsin in 2017. This was a cause for concern, since this species is known to be carrying the dangerous Zika virus. 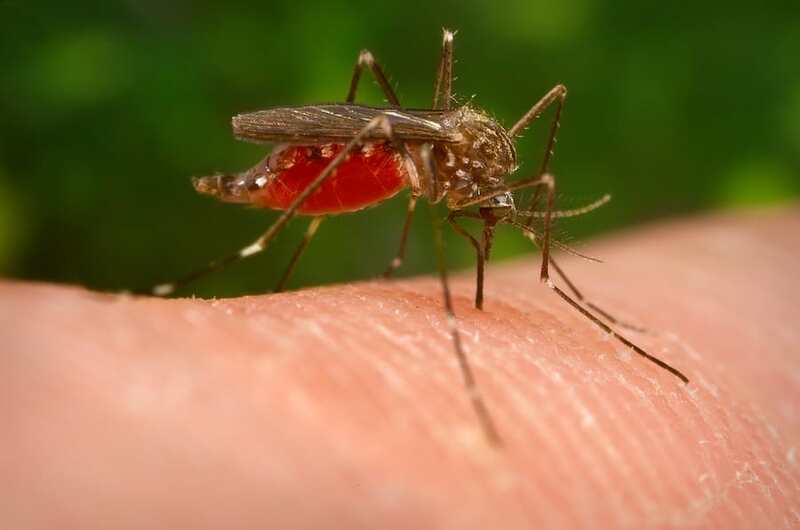 Scientists are studying how this relatively new phenomenon will affect mosquitoes populations and how the mosquitoes will adapt to the new temperatures. Mosquitoes are remarkably hardy creatures. The species which live in warmer areas of the globe are perfectly adapted to the local temperatures and its changes. And the same goes for mosquitoes in colder regions, and during winter seasons. The mosquitoes living in cold areas of the world have evolved in specific ways to enable them to cope with the freezing temperatures. These adaptations include changes to the bodies of the adult insects, and the ways in which the female’s eggs develop. Mosquitoes, like many other bugs, have an inbuilt biological antifreeze function in their bodies. This is a biochemical process by which water in the mosquito’s body is replaced with glycerol. When frozen, glycerol forms glass-like ice crystals instead of freezing completely solid, which would damage the insect’s cells and tissue. This process allows certain, adapted species of mosquito to freeze and thaw out again later without any damage to them. Mosquitoes in warmer parts of the world are not as adaptive to cold weather. These types will most likely die if the temperature drops much below the range they are used to. But that doesn't mean the mosquito won't leave offspring behind. The non-adapted adult may have frozen to death, but her eggs will survive. Female mosquitoes lay their eggs in the late fall. The eggs will then either freeze as the winter comes, or hatch as larvae which will then be safely frozen. Mosquito eggs, larvae, and pupae can all survive freezing temperatures. The mosquito babies can pause their development during the cold winter months. Then, as the temperature rises, they will thaw and quickly start developing again. So, what temperature kills mosquitoes? As we’ve seen, the answer to that question depends heavily on the species in question, and what adaptations they have evolved with to be able to cope with inclement weather. For this reason, there is no set temperature which we can say conclusively will kill mosquitoes, although we do have some more successful methods here. Mosquitoes adapt very well to the climate in which they live. But extreme changes to their environment can still kill the insects. This is particularly so if their food and water sources are affected. Mosquito offspring can survive extreme weather, including being frozen at all stages prior to adulthood. Adult female mosquitoes may avoid extreme temperatures by going into diapause, a kind of hibernation.